XOLO X900, XOLO’s offering the world’s first smart phone with the power of Intel inside® shaking hands with LAVA International Ltd., India’s fastest growing handset brands. The R&D Centre is in Shenzhan (China) and Bangalore (India). The smart phone has a fast web browsing with the 1.6 GHz Intel processor and smooth multi-tasking process using Intel patented Hyper Threading technology.It has an optimum battery usage, 4.03” hi-resolution of 1024X600 pixels LCD screen to ensure crisp text and vibrant images, HDMI Output port for TV, full HD 1080p playback and dual speakers. It has a camera of 8MP HD camera with certain DSLR like features allowing to click upto 10 photos in less than a second. 3D and HD gaming is immensely realistic with 400 MHz Graphics Processing Unit. The Operating System used here is Android 2.3 (Gingerbread) and upgradable to Android 4.0. It has the GPS facility and rear and front cameras with 8MP and 1.3MP respectively. They have enabled Accelerometer, Gyroscope, Magnetometer, Ambient light sensor and Proximity sensor in this smart phone. Intel’s smartphone venture is beginning in India first. It is said to be available for sale in Indian from April 23, 2011 onwards. The price is at a best-buy price of INR 22,000 approximately. The smartphone will be available at the Indian retail chain Croma. The phone will available in other retail stores and online stores from early May. The company is launching the smartphone in India first and a more powerful handset in China later this year. According to their success in India and China, Intel is planning to come into Europe and US market. Till then, Intel smartphones are only for Indian buyers. 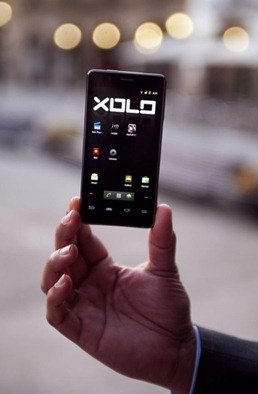 You can more technical information from the XOLO’s site. « Do you know what is a DevOps Project?